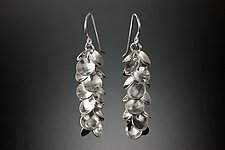 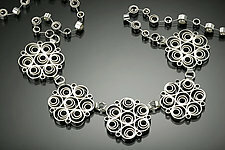 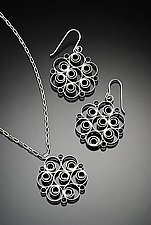 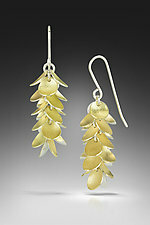 "Working in metals is deeply satisfying. 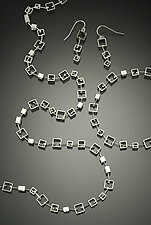 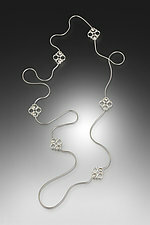 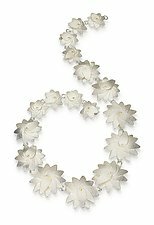 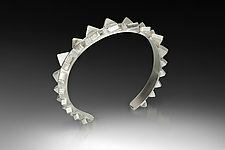 I enjoy the challenge and process of creating precious wearable objects that people will treasure." 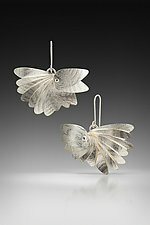 Jennifer Chin draws inspiration from machine components, kinetic movement and naturally occurring patterns. 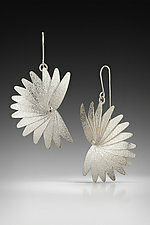 Using forging, soldering and wire wrapping, Jennifer Chin creates honeycombs, molecular structures, evergreen quills, and bird wings as well as nuts, bolts and perfect geometric shapes. 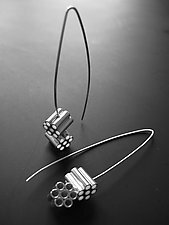 Beginning each piece with various shapes of sterling silver tubing and wire, Jennifer Chin creates work that is modern with a delicate industrial feel.